Our community has 3,116 members, 397 online now. We’ve published 9,781 stories, shared 8,327 images, made 10,348 blog posts and written 121,558 forum posts. A strange thing happened the other day. I'm not sure whether the time had anything to do with it because it was only four-twenty in the afternoon and the rush hour hadn't yet got under way. Anyway, as I unwrapped my Penguin bar I saw a man sitting on the pavement outside a record shop. I remember distinctly the neon 'open' sign in the window above him flashing erratically on and off in the fading light. As I approached I realised how unkempt this man was with his long, scraggly, grey beard and equally long, unwashed hair. As he sat, slouched and cross legged in his ragged, dirty clothes I noticed he was holding a guitar and, although I am no expert in these matters, I am certain it was a Gibson Les Paul. I suppose he must have seen me looking because he began to play. There was no amplifier but even with the sound of the passing traffic and hustle and bustle of the city I could tell that this was no ordinary busker and I wondered what had happened to put such a talented musician out on the streets. He began to sing and his voice was like a choir of angels sent down from heaven. “When I was young it seemed that life was so wonderful, a miracle, oh it was so beautiful, magical,” he sang. 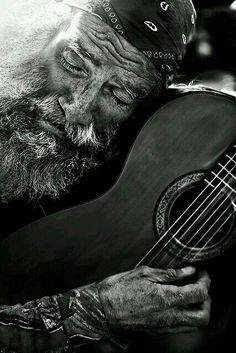 I was mesmerised and listened silently as he strummed the non-amplified instrument. I recognised it immediately as The Logical song. His voice trailed off and the city hubbub around me seemed to return to my consciousness.